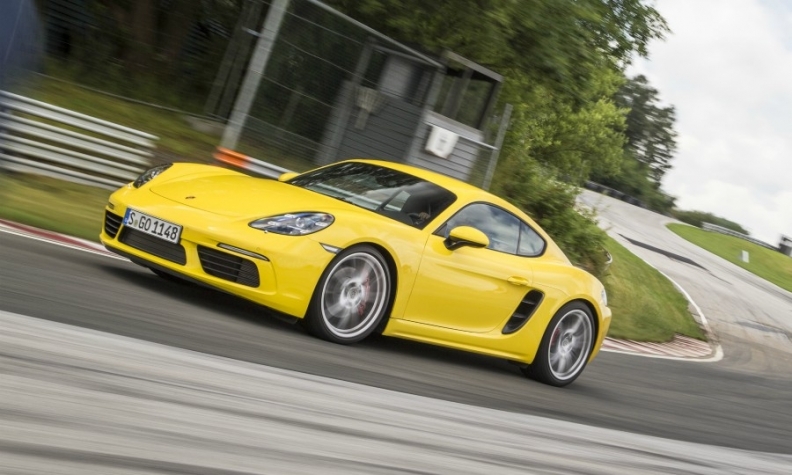 MUNICH -- Porsche says its classic two-door sportscars are starting to take off in China, with demand for the 718 Cayman and Boxster growing well. The automaker so far hasn't sold many of the two-seater models in China, where much of its clientele can afford a chauffeur. While the space-constrained vehicles remain the heart of the brand's identity, SUVs provide the mainstay of sales. But that will change as Porsche continues to expand in the country that has become its biggest market, the brand's head of sales Detlev von Platen said. "The growth isn't just coming from SUVs," von Platen said Wednesday in an interview at the Beijing auto show. "Demand for our two-door sports cars, the 718 Cayman and Boxster, is developing extremely well." Porsche last year sold about 71,000 vehicles in China, a 10 percent increase, all of them imported and attracting steep levies. Just 11 percent were two-door sportscars, well below the one-quarter of sales in the U.S., its second-biggest market. There, the automaker delivered about 55,000 vehicles. "We're doing a lot to push this development," said von Platen, with Porsche due to open a driving experience center in Shanghai on Thursday. "It's got to be possible to experience the car." China last week said it plans to remove rules that require foreign automakers to enter into joint ventures to produce cars in the world's biggest market. From 2022 manufacturers, which operate under a 50:50 arrangement, can either buy out existing partners or strike out on their own. For Porsche, establishing production in China isn't on the agenda, said von Platen. "China is also set to lower import duties, so that's again lessening the case for such a plan," he said.